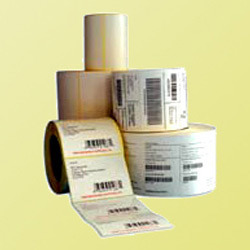 With the assistance of our able experts, we present an elite range of Barcode Tags. These tags are intended for secured labeling of the items at shopping centers. 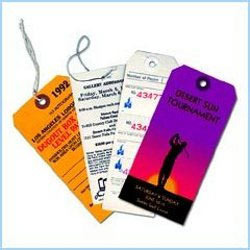 These tags are alluringly imprinted on solid materials by utilizing counterbalance and laser printing systems. Notwithstanding this, our customers can benefit this tag from us at nominal costs. Acclaimed in the industry as a manufacturer, supplier, exporter, retailer, wholesaler and trader, we are engaged in offering Barcode Garment Tags. Used to display price and size, these tags are manufactured keeping in mind the requirements of customers to attain their maximum satisfaction. Post-production, these tags are checked thoroughly to ensure flawlessness.